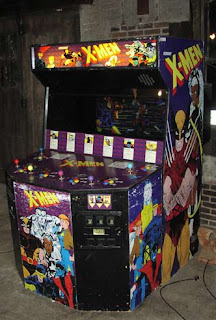 The X-Men arcade game was recently made available on the Xbox Live Marketplace. I'll admit that it was never one of my favorites in arcades, but it was definitely something I enjoyed still. I love this style of gameplay. Factor in the wide screen it had (it originally combined two TVs) due to the remarkable 6-player capability, and you have a very strong arcade beat-em-up.